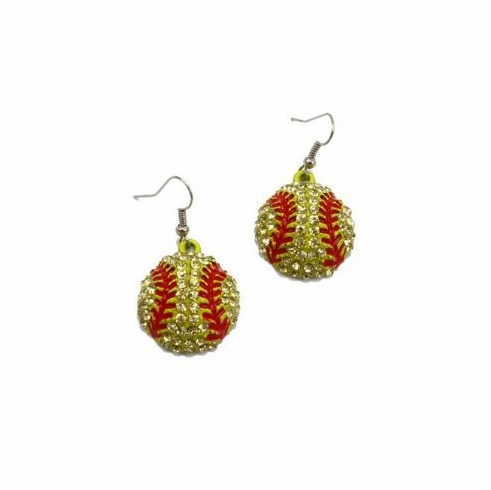 This pair of hook earrings features crystal softballs with red stitches (flat back) which each measure appx. 5/8" in diameter. Complies with the lead content safety guidelines.